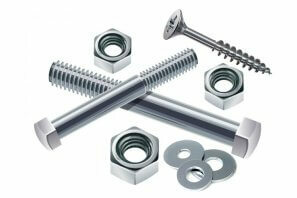 Alloy 20 Fasteners, Carpenter 20 Fasteners, Incoloy Alloy 20 Fasteners, Alloy 20 Bolting Materials Suppliers. ASTM A182 Alloy 20 Fasteners Manufacturers, ASME SB 473 Alloy 20 Fasteners, JIS/ ASTM/ BS/ DIN Standards Alloy 20 Fasteners Suppliers in Mumbai, India. Kencotube is one of the leading manufacturer & trader of high quality of Alloy 20 Fasteners, which is specially designed for varied range of high temperature and anti-corrosive operations. Repair of Alloy 20 Nuts may present particular problems with HAZ regions being sensitive to fissuring and weld metal increasing in crack sensitivity if silicon pick-up takes place. Alloy 20 Bolts gives a completely austenitic and niobium stabilised weld steel by means of copper and molybdenum along with a soaring resistance to corrosion in sulphuric acid and other organic acids, mineral acids, along with their mixtures. Alloy 20 Stud Bolts provides highly safe and reliable operations, wheredepending upon the applications, it is available with varied seat options like glass or carbon filled Teflon, PTFE and graphite.Welds in Alloy 20 Screws are usually left in as-welded form but forming to ASTM specifications may perhaps need solution conduct at 1125 Degree C after major repairs. Alloy 20 Fasteners, Carpenter 20 Fasteners, Incoloy 20 Fasteners Dealers, Alloy 20 Bolting Materials, Alloy 20 Nuts, Alloy 20 Screws Manufacturers, Alloy 20 Washers Exporters, Alloy 20 Bolts, Alloy 20 Cotter Pins Suppliers. Alloy 20 Washers is also resistant to intergranular corrosion in the as-welded condition. At 33 percent nickel, Carpenter 20 Fasteners has practical immunity to chloride stress corrosion cracking. DIN 2.4660 Fasteners is exclusively made from accurate blend of chromium-molybdenum-nickle and stainless steel alloy. Hot-working in AL 20 Fasteners practices should stay between in the range of 2100 Degree F — 2250 Degree F, wherecontrol of temperature is essential in terms of work-hardening, forging and welding the metal due to potential risks to its stability. We also offer these UNS N08020 Fasteners in custom made sizes and shapes to our patrons at very reasonable price. Alloy 20 Machine Screws, Alloy 20 Hex Head Bolts, Alloy 20 Decking Screw Stockholders, Alloy 20 Hexagon Nuts, Alloy 20 Flat Washers Stockists, Alloy 20 Concrete Fasteners, Alloy 20 Studs, Alloy 20 Metric Fasteners Manufacturers. Faridabad, Rio de Janeiro, Ludhiana, Madrid, Moscow, Bengaluru, Ankara, Istanbul, Toronto, Algiers, Noida, Dammam, Vung Tau, New Delhi, Tehran, Hyderabad, Sharjah, New York, Coimbatore, Edmonton, Haryana, Dallas, Vadodara, Chiyoda, Jaipur, Rajkot, Los Angeles, Jamshedpur, Pune, Ahvaz, Al Jubail, Santiago, Karachi, Al Khobar, Ahmedabad, Bhopal, Petaling Jaya, Lahore, Seoul, Thane, Kuwait City, Jeddah, Geoje-si, Lagos, Atyrau, Ernakulam, Jakarta, Kanpur, Chandigarh, Baroda, Courbevoie, Visakhapatnam, Granada, Nashik, Port-of-Spain, Navi Mumbai, Gurgaon, Secunderabad, Bangkok, Busan, Indore, Milan, Calgary, Kolkata, Sydney, Aberdeen, Howrah, Mexico City, Perth, Ho Chi Minh City, Ulsan, Kuala Lumpur, Thiruvananthapuram, Chennai, Melbourne, Muscat, Ranchi, Pimpri-Chinchwad, Surat, Doha, Bogota, London, Hanoi, Montreal, La Victoria, Cairo, Colombo, Caracas, Nagpur, Brisbane, Mumbai, Houston, Manama. South Africa, Hungary, Malaysia, Switzerland, Taiwan, Venezuela, Russia, Slovakia, Oman, Mexico, Algeria, Vietnam, Belgium, Spain, Bahrain, India, Australia, Nigeria, Gambia, Canada, New Zealand, South Korea, Trinidad & Tobago,Tunisia, Ireland, Austria, Iran, Gabon, Mongolia, Italy, Israel, Bhutan, Nigeria, Jordan, Netherlands, Brazil, Macau, Turkey, Portugal, Hong Kong, Poland, Czech Republic, Puerto Rico, Kuwait, Ghana, Peru, Lebanon, Angola, Ukraine, United Kingdom, Kenya, China, Mexico, Iraq, Germany, France, Namibia, Estonia, Yemen, Croatia, Sri Lanka, Pakistan, Finland, Denmark, Thailand, Romania, Indonesia, Kazakhstan, Singapore, Ecuador, United Arab Emirates, Iran, Poland, Argentina, Saudi Arabia, Norway, Qatar, Serbia, Zimbabwe, United States, Chile, Morocco, Bulgaria, Libya, Colombia, Costa Rica, Azerbaijan, Afghanistan, Nepal, Bolivia, Japan, Sweden, Greece, Egypt, Tibet, Chile, Philippines, Bangladesh, Belarus, Lithuania.